Set just below the equator on the western arm of Africa's Great Rift Valley, Rwanda is an intriguing land of volcanic mountains and dense equatorial jungles. Blessed with lush landscapes, rare wildlife and the resilient spirit of its people, Rwanda has risen above its dark history, offering travellers a safe and unparalleled wilderness experience. 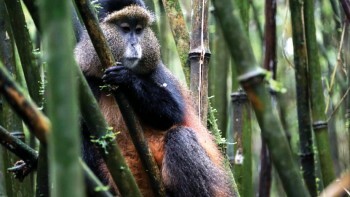 With Rwanda's mountainous terrain earning it the title of "The Land of a Thousand Hills", the lush, mist-shrouded forests that cloak the country's volcanic peaks provide safe haven for rare mountain gorillas, golden monkeys and chimpanzees. This is, quite simply, one of the best places on Earth to meet some of mankind's closest relatives. 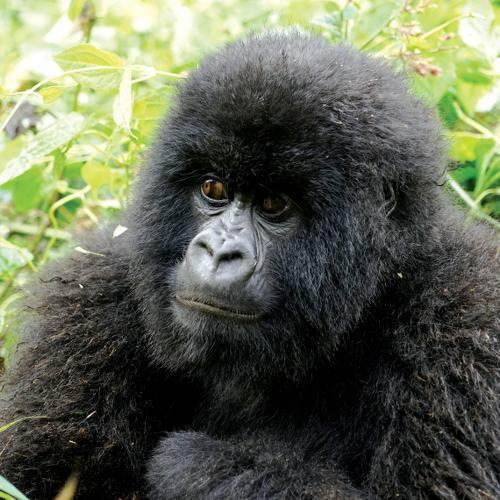 Enjoy an incredible once-in-a-lifetime wildlife encounter, trekking with expert local guides and trackers through the mist-shrouded forests and bamboo thickets of Volcanoes National Park in search of Rwanda's famous primates. The privilege of observing these gentle giants in their natural habitat is a bucket-list experience you'll never forget! Search for lions and abundant birdlife in Akagera National Park, Rwanda's only protected savannah; spend a day at beautiful freshwater Lake Kivu, one of African's Great Lakes; and trek the stunning Bisoke Volcano, where you may be lucky enough to spot a silverback in the wild. Finally, reflect upon Rwanda's tragic past at the moving Genocide Memorial; and support sustainable tourism initiatives with local handicrafts, cultural performances and village visits. Join us as we explore beautiful Rwanda! 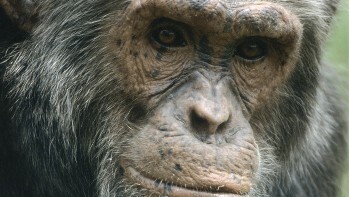 Enjoy an incredible once in a lifetime encounter with one of our closest living relatives. 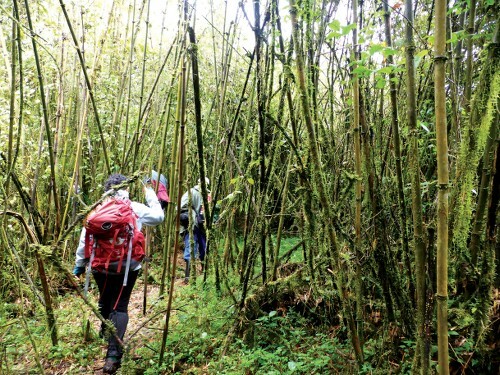 Trek through thickets of bamboo with our expert local guides and trackers in search of the sprightly Golden Monkeys. 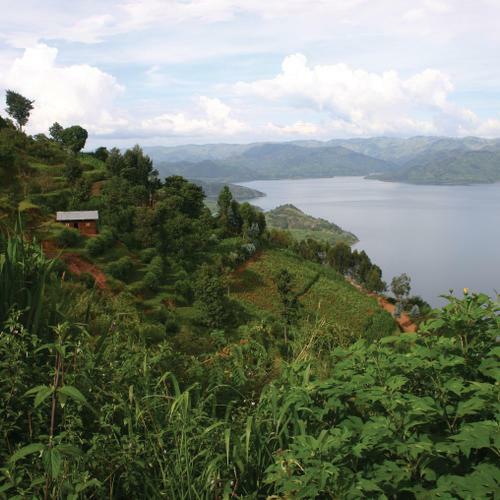 Lake Kivu is one of the African Great Lakes, a series of freshwater lakes that lie in the Great Rift Valley. 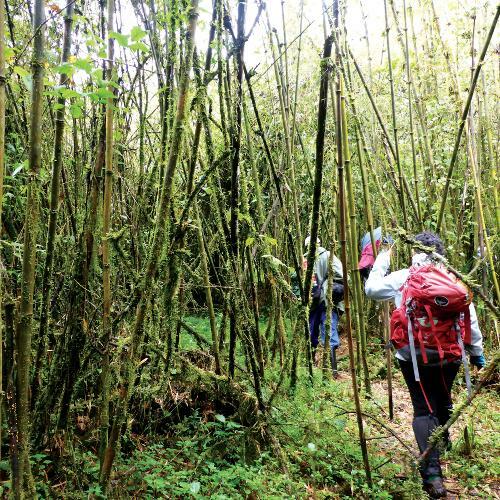 Take a scenic and memorable trek up Mt Bisoke and keep an eye out for a wild silverback while you're walking. An intensely moving and informative museum which documents one of modern history's worst atrocities. Observe the highly social, playful behaviour of these intelligent creatures. 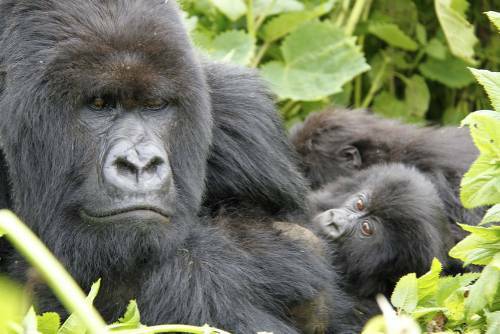 Our Rwanda adventures offer phenomenal value for money by providing comfortable accommodation, private vehicles and fascinating touring options. Additionally, we aim to incorporate as many inclusions as possible into the tour cost such as most meals, transfers, excursions, permits and national park fees. Our programs are packed with bucket-list items that provide a realistic experience of Rwanda's beauty. From trekking in search of Mountain Gorillas and an exhilarating ascent of Bisoke Volcano to spotting lion in Akagera, even the most experienced traveller will find inspiration within our range of itineraries. From our experienced driver-guides to the national park rangers and local trackers, all of our staff go the extra mile to ensure an awe-inspiring and unforgettable experience, sharing their extensive knowledge on Rwanda's history, culture and natural wonders. 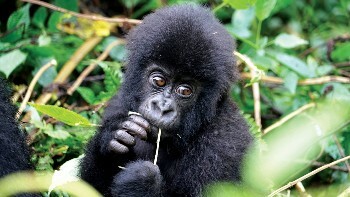 Responsible travel practice is at the heart of our Rwanda programs. Our adventures provide a true wilderness experience by viewing wildlife in their natural habitat and supporting the protection and sustainability of diverse environments, rare and endangered species and local communities. We do not go off track on our wildlife viewing drives to ensure that wildlife are given the required space. We support anti-poaching efforts in partnership with Uganda Conservation Foundation. We include unique cultural experiences on our itineraries such as visiting local homes for traditional meals and bark cloth making projects. 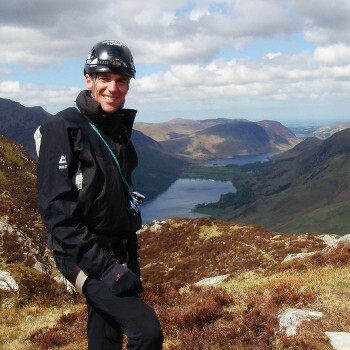 Additionally, our guides have vast knowledge about native cultures and traditions that they pass on to travellers. We employ our office and field staff from local communities and partner with many locally owned accommodation facilities. 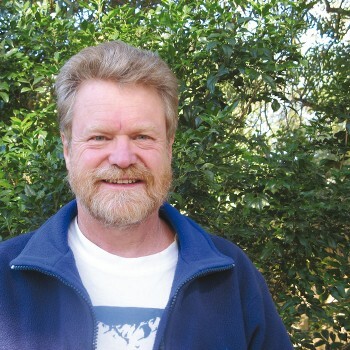 There are four discernible climatic periods – long rains from mid March to mid May; a long dry period from mid May to mid October; short rains from mid October to mid December; and the short dry from mid December to mid March. The average daytime temperature is 30°C in Kigali and 12-15°C in the highlands. The climate is not uniform throughout the country so use the above as a general guide. It is drier in the east than in the west and north. Kigali and Volcanoes National Park can become quite chilly. 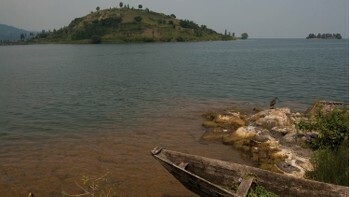 The areas around Lake Kivu are generally sunny and pleasant all year round. Rwanda can be visited any time of the year even during the rainy seasons as the scenery then is greener and the skies are clearer. Although it can be raining quite heavily in the mountains in these periods, it is no problem to travel then. 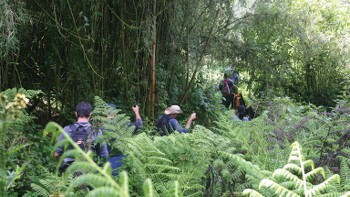 The main dry season is the best time to trek the gorillas in Volcanoes National Park. US dollars cash are by far the easiest foreign currency to exchange in Rwanda. It can either be changed to RWF or used directly (but often at a lower rate). We recommend you only take USD notes from 2006 or newer; older or torn notes are not accepted. We suggest bringing some smaller denomination notes as well as 20’s, 50’s and 100’s. Credit cards are of very little use. Some big hotels in Kigali will accept them but be prepared for high merchant fees. Visa and Mastercard only are accepted. Diners and Amex are NOT accepted anywhere in Rwanda. Do not rely on ATM machines as there are only a few in the whole of Kigali that are internationally connected and even then they cannot be guaranteed to work. Electricity in Rwanda is 230 Volts, at 50 hertz. The most common pin type is C. (2 round prong). Visas for Rwanda are required for all passport holders. From 1st January 2018, all nationalities will receive a single entry tourist visa valid for a stay of 30 days, upon arrival without prior application and upon payment of the applicable visa fee (approx $50 USD, subject to change). Rwanda visas can only be paid in cash US$ and the notes have to be from 2006 or newer and also be nice, new, not soiled or torn. For all other visa types, an Entry Facility Letter application can be made at - https://migration.gov.rw/index.php?id=13. Have your passport details at hand when you apply for the Entry Facility Letter. When filling in the application online they will ask for an “invitation letter”. This invitation letter should normally not be needed, if, on the same application, you click that you are visiting Rwanda as a “tourist”. If you get a reply where you are still asked for an invitation letter from your tour operator please let us know, and we will send you one confirming that “JK Safaris” is your ground handler, and is organising your safari in Rwanda. Please print 2 copies of the Entry Facility Letter. Bring both to Africa. Keep one with your passport and the other separately as a spare just in case. No letter, no entry. Guard it like a passport. 6 months from date of entry. 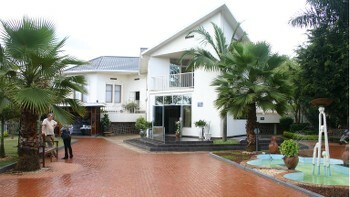 Proposed address in Rwanda: Lemigo Hotel, Kigali OR Mountain Gorilla View Lodge, Musanze. **you do not need full address details.